Home / #BestOfPhilly / Celebrity Interviews / Chill Moody / Interview / iSocialiteTV / @iSocialite's #BestOfPhilly Series Presents: Who is @ChillMoody? 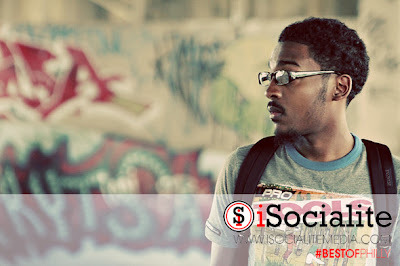 @iSocialite's #BestOfPhilly Series Presents: Who is @ChillMoody? iSocialiteMedia.com has just launched our #BestofPhilly Interview series. We will be interviewing the best of the best of Philly. This will include: rappers, singers, musicians, artists, DJ's, producers, designers, models, stylists, and more! The purpose of our #BestOfPhilly series is to highlight the exceptional talent that resides in Philly. Since we are not a Philly-based site, our criteria is solely based on the TALENT. We don't care how many Twitter followers you have or what type of following you have period. We're here to spotlight the real talent; no fluff. The folks we highlight are people we feel have the power to put Philly on the map and people that are or can represent Philly well OUTSIDE of the city. First up on our #BestOfPhilly series, we have none other than West Philly's own Chill Moody! Who else right? Hit the jump to check out Chill's interview with iSocialite's Ayana. We chose to have Chill Moody as our first #BestOfPhilly spotlight because there's honestly no one more focused than him right now. He has the talent to match his constantly increasing fan-base which will definitely, as he said, bring eyes back to Philly. For updated info on Chill, head over to his website: www.chillmoody.com and follow him on Twitter @ChillMoody. Friday night, Jacob, my homegirl Ashley, and I went to chill with Chill Moody in the studio to get some insight on his music, what he thinks about the hip-hop community in Philly, and we got an exclusive listen to his album #RFM. Definitely a dope kid and make sure you purchase tickets to his first headlining concert at the TLA in Philly on December 28th! Any Philly-based creatives looking to be featured, you can send an inquiry email with your press kit and all supporting materials to info@iSocialiteMedia.com. Please be advised that our selections are solely based on their talent and work ethic. This is NOT a popularity contest.